HOPE – Students across the Hope Public School District in need of assistance to get past basic necessity scarcities have a place to go to get help with the opening of the HPSD Pantry Project on all five campuses. Hart said that what began as food pantries to be established at each of the five main campuses of the HPSD, Clinton Primary School, Beryl Henry Elementary School, Yerger Middle School, Hope Academy of Public Service, and Hope High School, has evolved into a basic needs project on at least two campuses. Clinton Primary and HHS both stock some clothing items, school supplies and other basic needs in addition to food items. 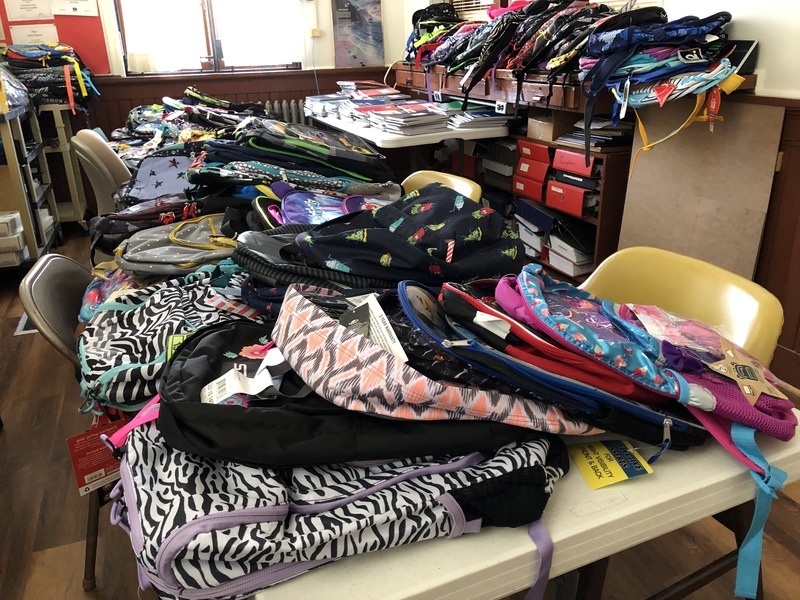 “The food pantry is continuing to be organized, but we desperately need donations of individually portioned kid-friendly foods, school supplies, clean used clothing in good condition, and monetary donations,” CPS Parental Engagement Facilitator Gina Karber said. At HHS, Parental Engagement Facilitator Kelly Muldrew has collected food donations and some clothing, while food donations make up the bulk of the stock at Yerger Middle School and Beryl Henry Elementary School. BHE Principal Dr. Roy Turner said his campus pantry is located in the counselor’s office pod. Eddrick Lard, campus nurse, said he is in charge of the project on the HAPS campus. Lard said donations should be directed to his office through the main office at HAPS. Hart said the district will accept monetary donations from the public and each campus will accept donations from the public of needed items and food. Campus food pantries will provide distributions on an as needed basis; will be inventoried on a regular basis; and, will have a single point of contact for each campus to receive donations and distribute food and other items. Hart said the only qualification to receive items from the food pantry is that a student be enrolled in the Hope Public Schools. He said the HPSD does not intend to compete with other local needs programs, only to put what it can make available directly on campuses. Examples of recommended food items for donation include Pop Tarts, individually-packaged peanut butter crackers, individual serving cans of Vienna sausage, individually-packaged dry cereals, individually-packaged trail mix, individually-packaged cheese crackers, individually-packaged pre-prepared tuna servings, individually-packaged fruit cup, and individually-packaged noodle cup.